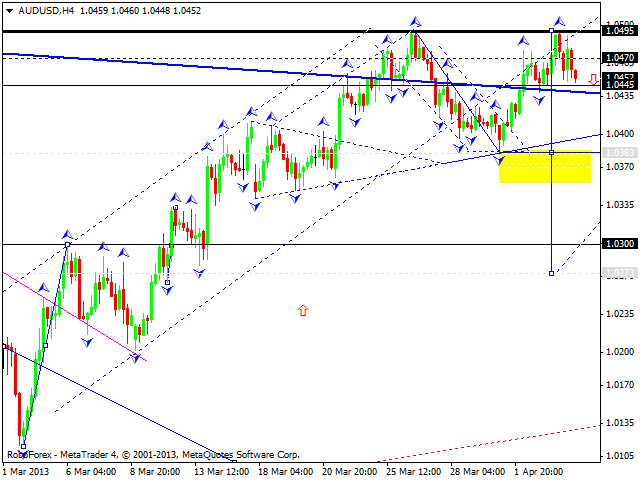 The EUR/USD currency pair is trying to form the third ascending structure; the market has broken a descending channel. We should note that the descending trend is still taking place; its target is at 1.2700. An alternative scenario implies that the pair may form a correctional wave. 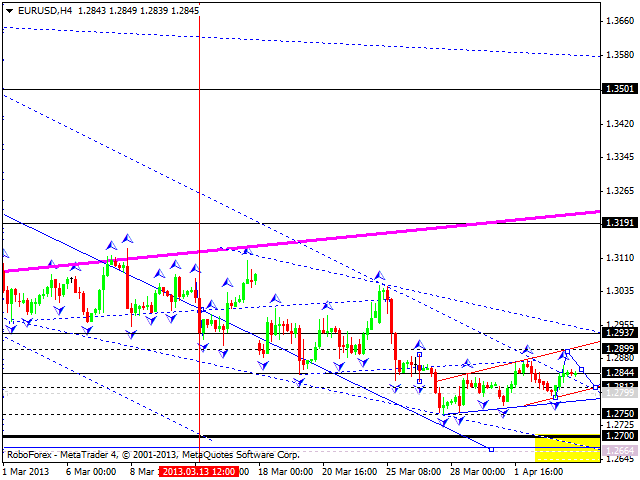 The target of the third wave is at the level of 1.2890. Later, in our opinion, the price may fall down towards the level of 1.2815, form another ascending structure to reach the level of 1.2935, and then continue moving downwards to reach the target at 1.2700. 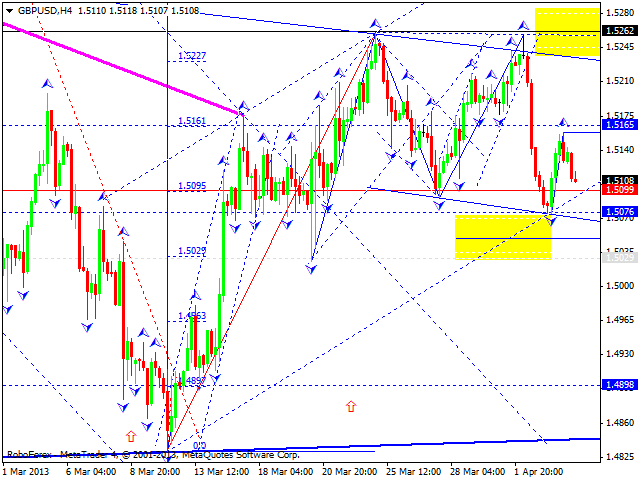 The GBP/USD currency pair finished the first ascending wave and right now is correcting it. We think today the price may fall down and reach the level of 1.5100. Later, in our opinion, the pair may start forming another ascending structure to break yesterday’s top and continue growing up. 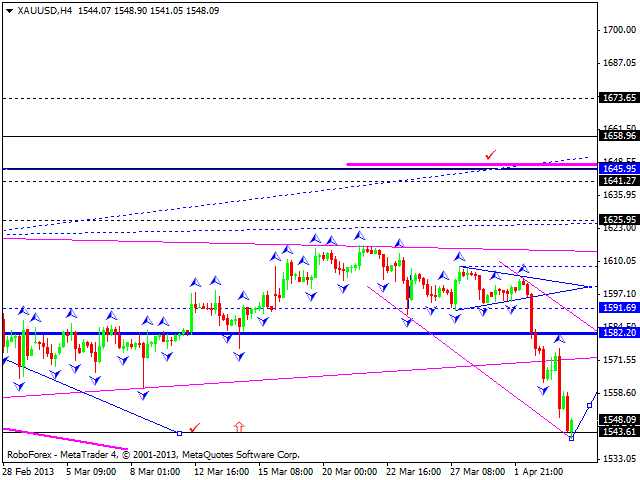 The main target of this wave is at the level of 1.5260. 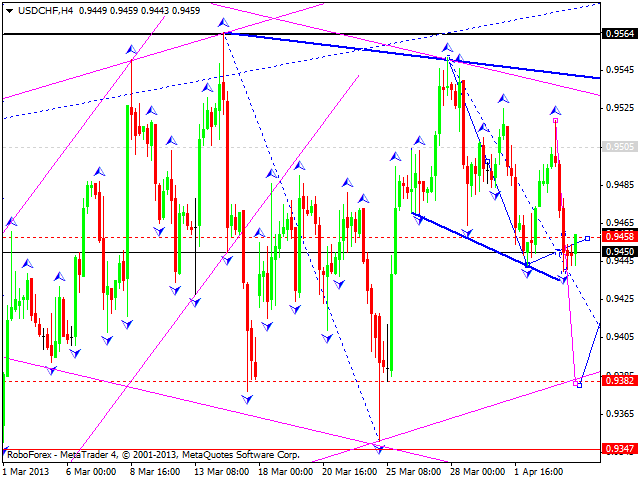 The USD/CHF currency pair is moving downwards again. The market has broken the minimum of the first wave, which means that the pair may continue falling down. Currently the price is correcting yesterday’s descending movement. After completing this correction, the price may continue moving downwards to reach the target at 0.9380, return to the level of 0.9450 to test it from below, and then start another descending movement towards the target at 0.9340. The USD/JPY currency pair finished the first ascending impulse and corrected it; currently the market is forming another ascending structure with a local target at 94.45. Later, in our opinion, the price may start a correction towards the level of 93.60 and then form another ascending structure to reach the target at 94.65. Australian Dollar has almost completed double top pattern. We think today the price may form a descending wave with the target at 1.0380. Later, in our opinion, the pair may consolidate for a while and then continue falling down towards the level of 1.0270. 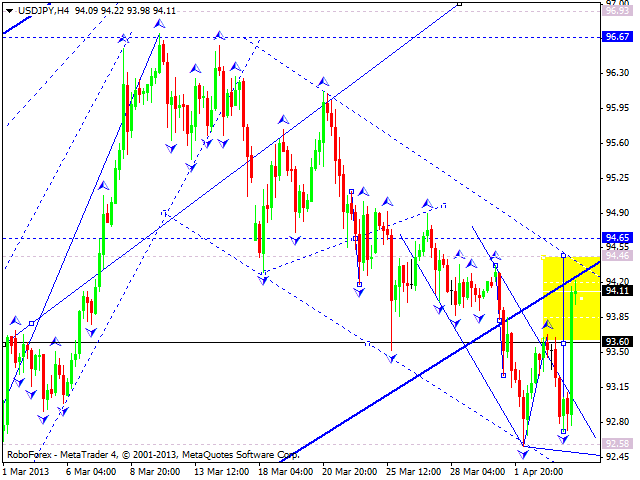 Gold completed another wave. We think today the price may start an ascending correction with the target at 1640, at least, and then fall down again towards the level of 1525. Later, in our opinion, the instrument may form the first ascending structure, correct it, and then start forming a reversal pattern.